It’s February and pale pink, delicately scented almond blossom is suddenly opening on the almond trees. The soft scent encourages a deep inhalation of the perfumed air. The island seems to be bursting with colour. 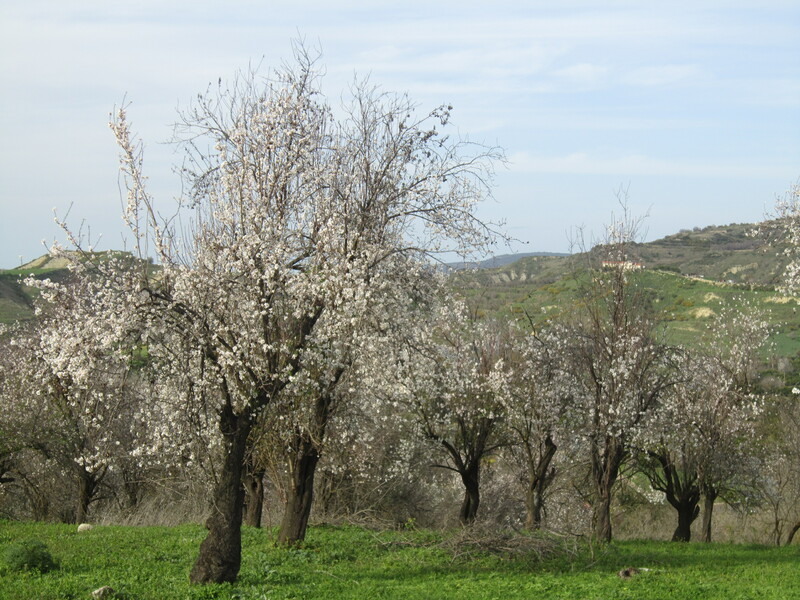 The Cyprus countryside between Paphos and Polis on the west side of the island is a vision of mandarin and citrus orange, almond and cyclamen pink, olive tree silver-grey, broom yellow and winter wheat green. 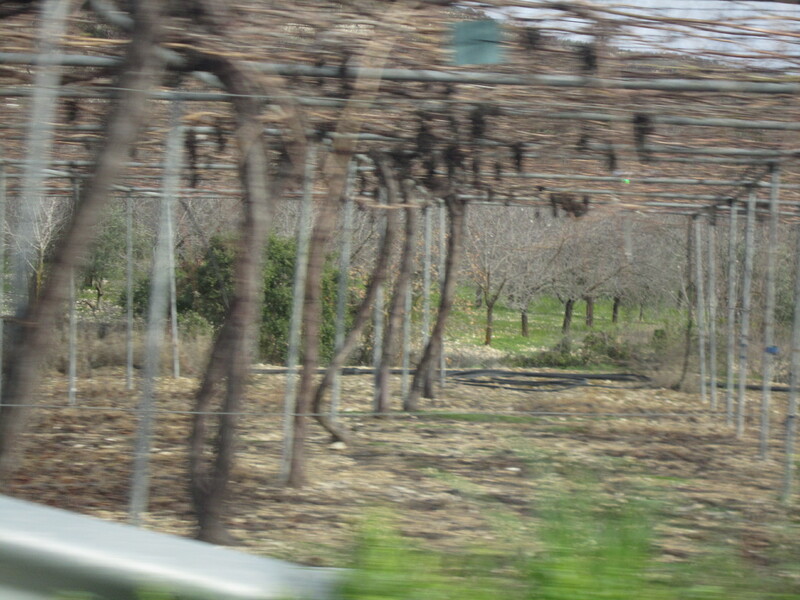 The gnarled brown bush planted vines still appear dormant and the high trellis vines mainly for table grapes show the occasional touch of green. Nature is responding to the warmth of the sun after two months of cool and rainy weather and is reawakening. The same could be said of the Cyprus wine industry. It is going through a renaissance after several centuries of decline and more recently the production of bulk, inexpensive wines. Cyprus produced much of the sweet sherry- like fortified wine consumed in the UK and also a large volume of blended wines for the eastern block countries. Markets have changed significantly and now Cyprus wine makers are responding to the global demand for higher quality wines by paying greater attention to the handling of grapes and the production of the wine. Cyprus appears well positioned to make this transition. 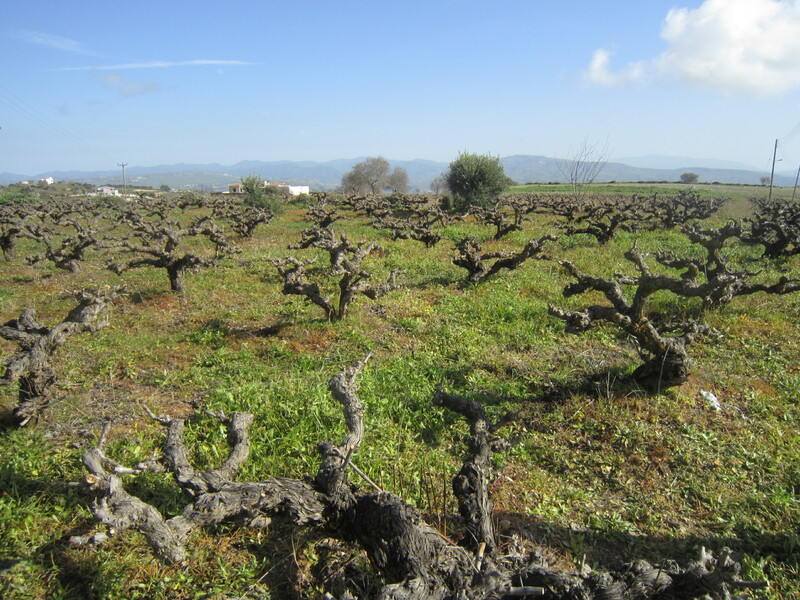 Along with Chile, Cyprus claims to a country whose vineyards are entirely phylloxera-free and vines are cultivated on their own root stock as opposed to being grafted onto american root stock as is the case in many countries. Cyprus is also fortunate to have several indigenous grape varieties which are heavily relied upon in its wine industry. While more international grape varieties are increasingly being planted their percentage of the total acreage cultivated is much smaller. The red grape Mavro has the highest acreage followed by the white grape Xynisteri. Next in line are Carignan, Cabernet Franc and Cabernet Sauvignon. Another popular Cypriot vine, Maratheftiko is further down the list. Xynisteri makes popular white wines but they must be drunk young – one year at most after production. While much of the wine industry has been dominated by four major producers, smaller regional wineries with lower production capacity are being encouraged within the industry. Further initiatives to support improved quality have included the appellation system. There are three wine denominations based on European Union laws. The three categories are: Table Wine; Local wine, similar to the French Vin de Pays; and introduced in 2007 is the Protected designation of origin which is modelled on the French Appellation d’Origine Controllee. Each of these denominations has specific requirements which must be met. The wine industry is a significant contributor to the Cypriot economy through cultivation, production, employment, export and tourism. It’s a demanding business in a highly competitive market. Modernizing and improving quality in line with the industry world- wide is the way forward while building upon the legacy of local grape varieties and island history. This entry was posted in Cyprus, wine and food, wine tasting and tagged Cyprus, Cyprus wines, wine tasting notes by elizabethsvines. Bookmark the permalink. So true – spring in Cyprus is when one realises how blessed we are with nature’s wealth – a timely focus for tasting vintages from last year as winemakers finish with their bottling activities. Reblogged this on Travel Freely.